Congenital hand differences do not always fall into neat categories and a range of different approaches are usually possible. 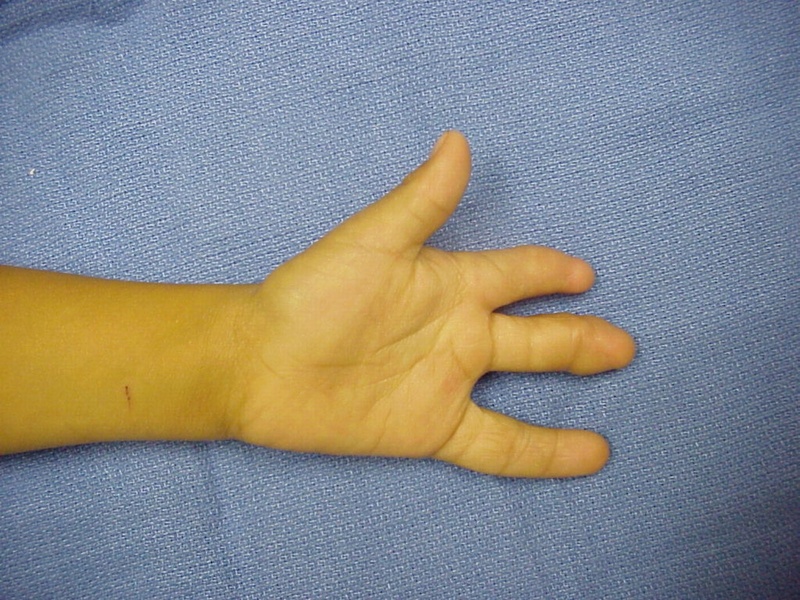 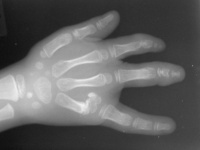 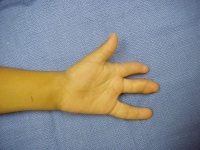 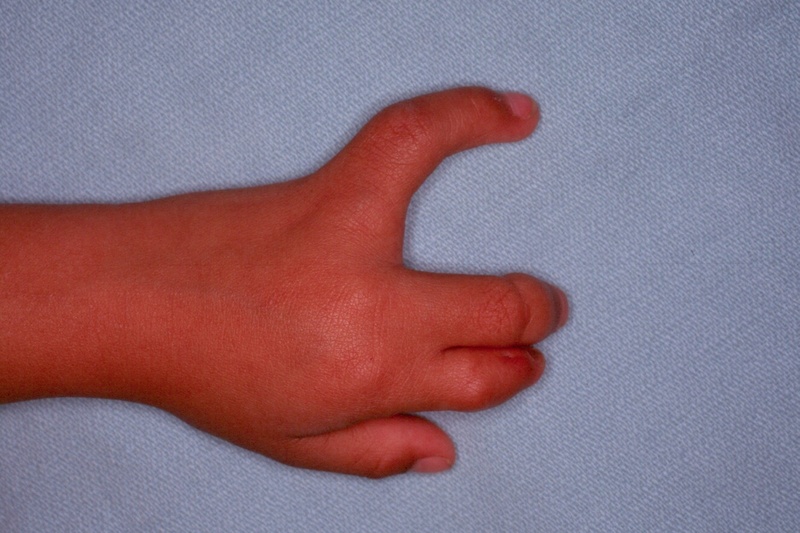 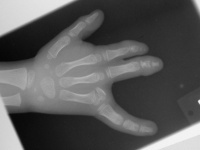 This boy's hand has a double level syndactyly between the index and middle finger - a bridge at the middle phalanx level with an associated constriction ring groove, and a shallow web involving the same rays. 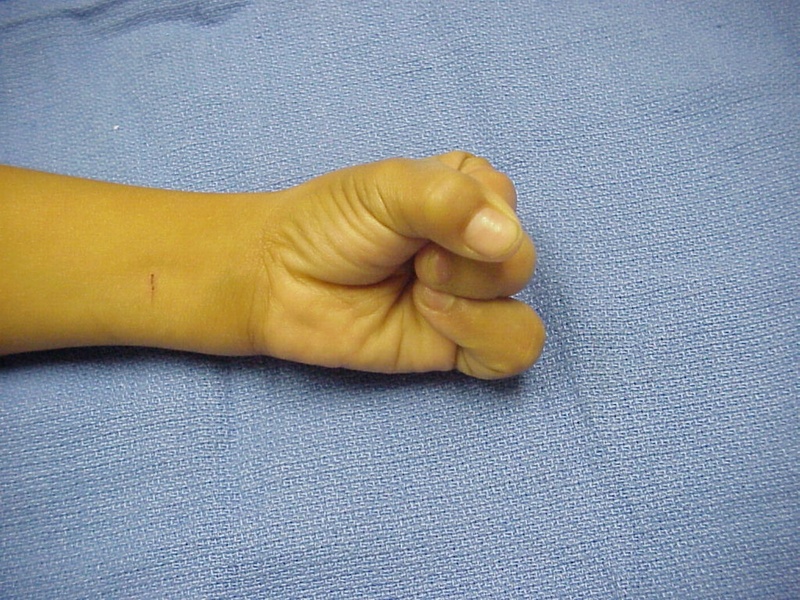 There is also failure of separation of the ulnar hand parts with capitate-hamate coalition and absent ring ray other than a partly separated metacarpal head. 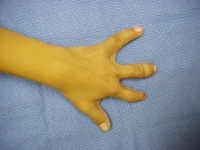 The procedures were staged. 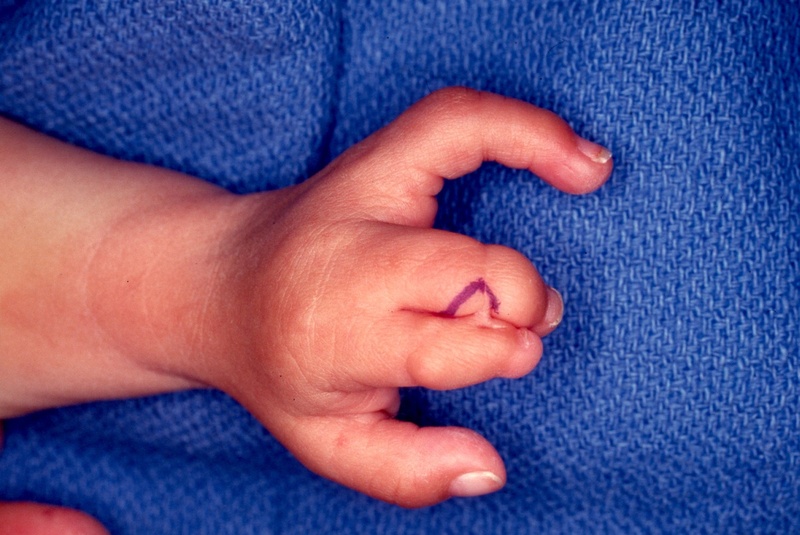 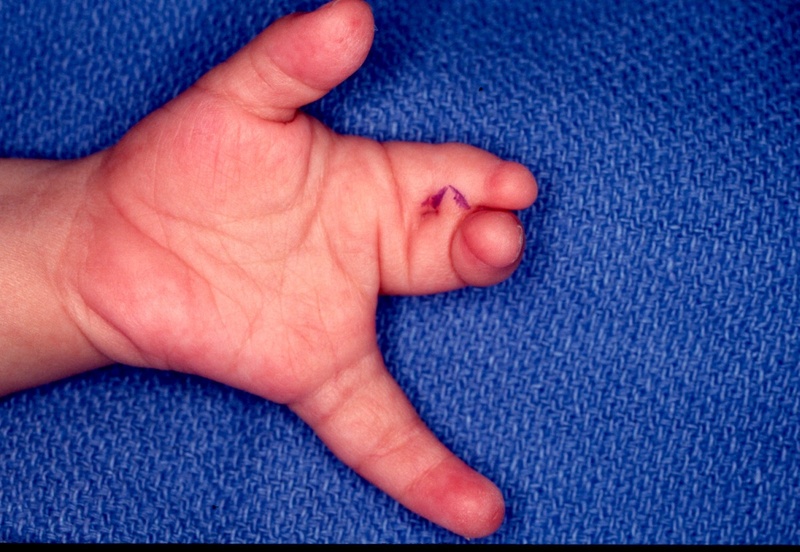 In the first procedure, the constriction ring syndactyly was taken down by splitting the skin bridge into dorsal and palmar skin flaps. 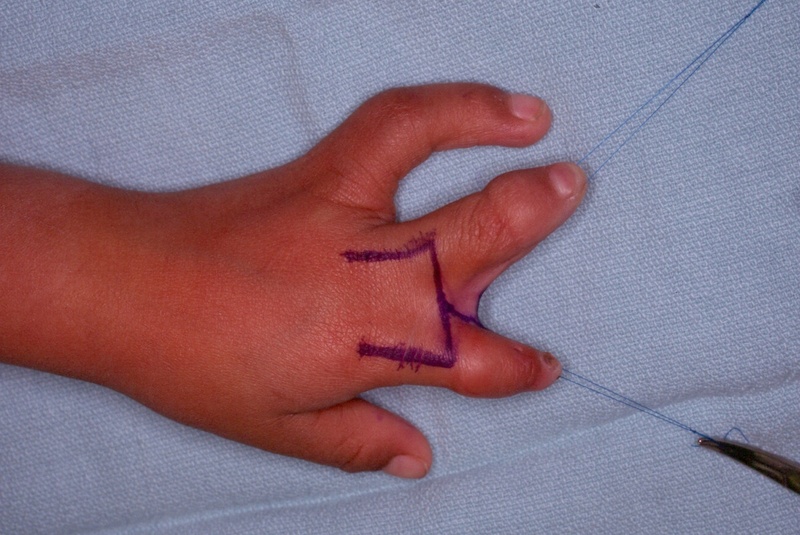 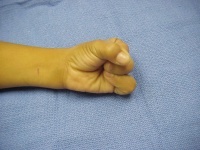 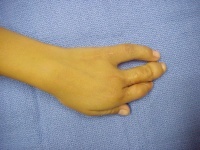 This removed the angular tethering force on the index finger and allowed maturation before the second procedures. 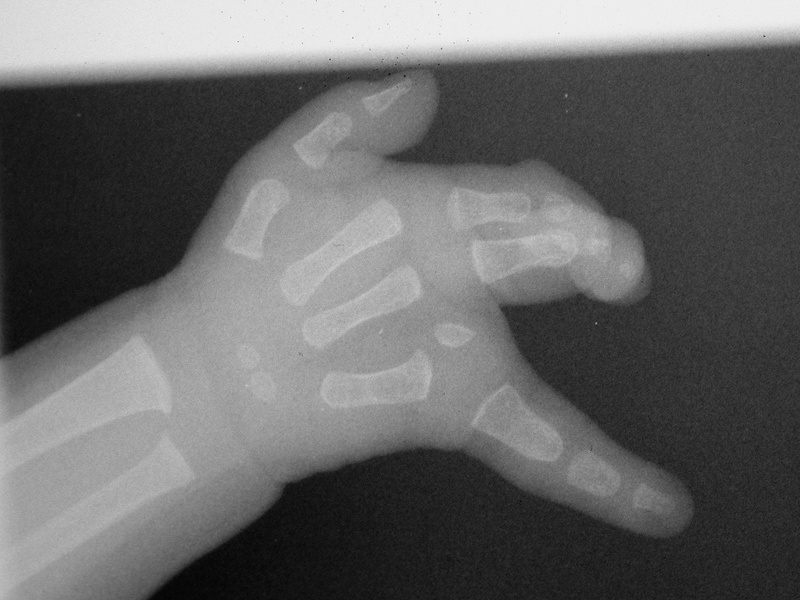 Further growth allowed better evaluation of the ulnar skeletal components. 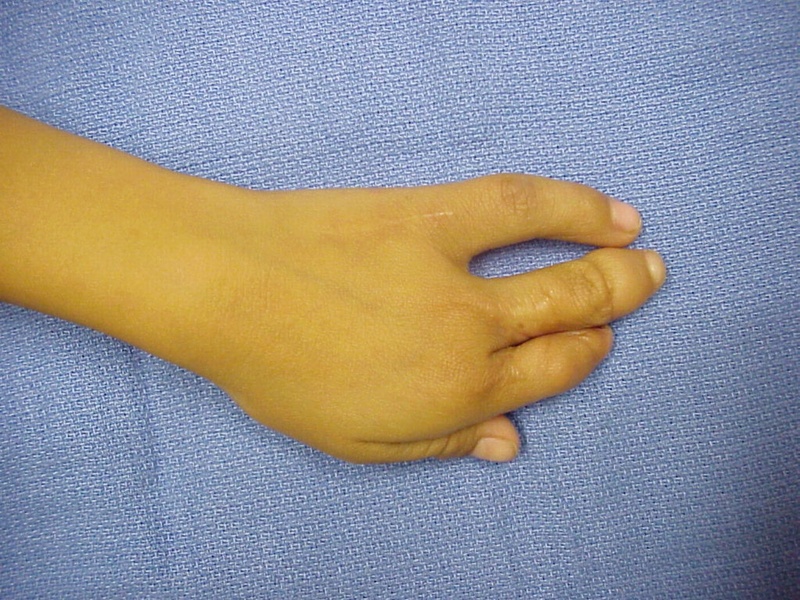 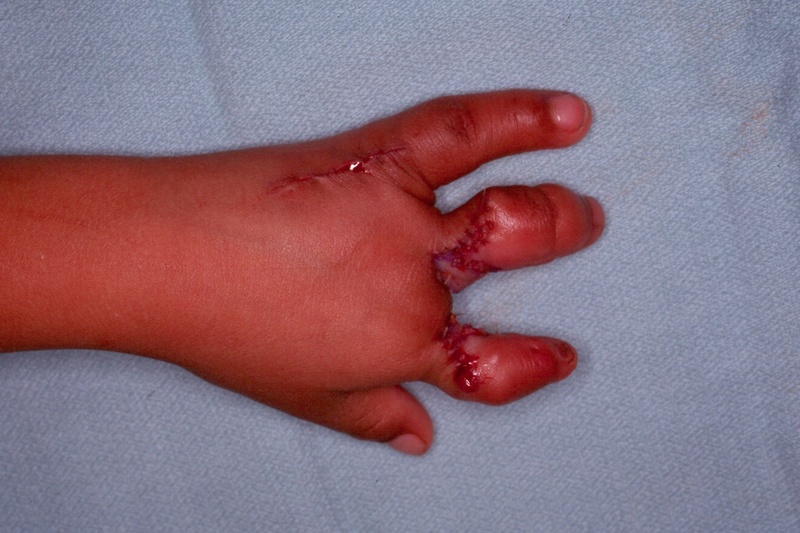 The second procedure included web deepening with a three-flap plasty and closing wedge osteotomy to realign the small finger metacarpophalangeal joint.